Kickstart Diversity filmmaking program for women, minorities, LGBT in Hollywood launches. 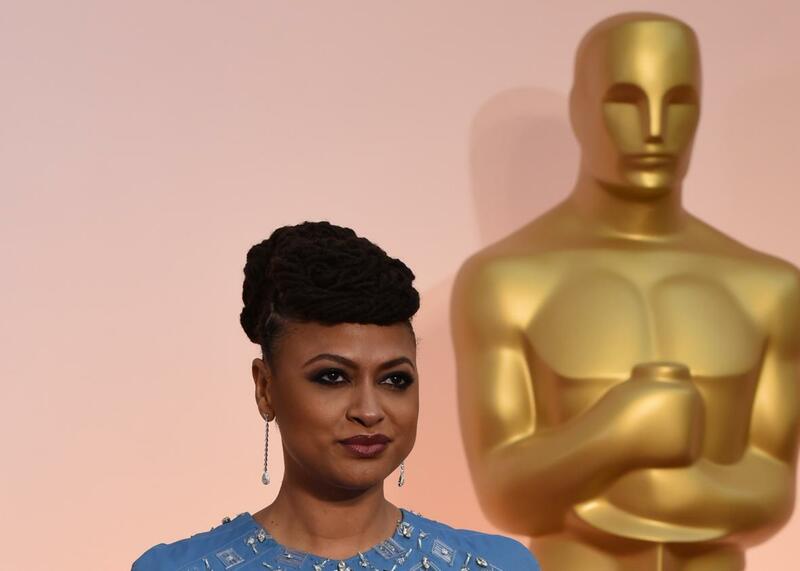 Ava DuVernay at the 87th Oscars on February 22, 2015 in Hollywood, California. Photo by MARK RALSTON/AFP/Getty Images. By now we all know the drill: Hollywood does not do a good job of representing diversity both onscreen and off. Every week, it seems, there are new statistics trotting out the same dire stats, and another A-list actor is taking the industry to task for not doing more to improve the landscape for those underrepresented groups. One filmmaking company hoping to move the dial forward is Big Vision Empty Wallet, a “film and media incubator” that works to foster the work of independent filmmakers: co-founders Dani Faith Leonard and Alex Cirillo have launched a program to incentivize more diverse films. Kickstart Diversity provides discounts and access to resources at every stage of production for projects involving women, people of color, and LGBT filmmakers. On Monday, BVEW announced its lineup of inaugural projects, including a film being produced by Spike Lee. I spoke with Leonard and Cirillo about how the program will work and why it doesn’t mean that straight white males can’t get involved. What have you seen or experienced that made you want to help non-white straight males succeed in the business? Alex Cirillo: I think there’s currently still a misconception that films and TV shows created by women or created by a diverse population are not successful, they don’t make money, people don’t want to see them. And that’s just wrong. Data backs it up that audiences really want to see diverse points of view and diverse life experiences, so we’re hopeful that a program like this, that helps at the independent level and supports more diverse filmmakers who are creating work independently, will then also translate to seeing more diverse characters and diverse points of view on screen. So say I’m a filmmaker and I want to work with you. Can you walk me through the process, from submissions to the final product? Leonard: Submissions are open all year long, so they’ll be on a rolling basis. And what we’re really looking for are projects with a diverse team and a strong business plan and team in place, a team that we would love to support and get behind. So we’ll be choosing projects all throughout the year to receive the diversity incentive, and those projects will then also qualify to participate in our distribution lab. [We’ll give] them access to distribution, which is another issue that diverse creators face. Why is it so difficult for, as you put it, diverse filmmakers to gain access to these resources? Cirillo: I think a lot of what we’re addressing here is access. We’re using … the relationship that Dani and I already have as producers to help people get access to really high-quality vendors who may be a little expensive but are willing to work with you if you’re coming through our program. You know, one thing that should be clear is that yes, you have to qualify by having a diverse team, but this is also a merit-based process. We’re not just choosing every project that comes through our door. So what exactly are you looking for? Leonard: We’re open to any genre as long as there’s a strong business plan and a strong team. The program is specifically for feature films, narrative or a documentary … and we’re also open to series … [And] it’s not necessarily for a first-time filmmaker. Even filmmakers who have created so many films have a problem with financing, I mean even including [someone] like Spike Lee: [just a couple of years ago] he did a Kickstarter campaign to get his film funded. It’s such a problem that people are having across the board not necessarily due to an experience level. Diversity has become one of the biggest topics over the last couple of years in conversations about Hollywood. What do you think is the most common mistake people make when talking about it, and in execution? Cirillo: That it’s usually a problem-oriented conversation. It’s a lot of complaining, it’s a lot of talking about the negative statistics and how bad the state of things is, and it’s not a lot of conversation that’s solution-oriented. Leonard: And I think there’s still this really common misconception that just because a film or any kind of media project is directed by a woman or a person of color, that doesn’t mean that that’s the only audience that it’s intended for. I mean if men can create work that’s enjoyed by both genders, there’s no reason why a female-created project should be intended for a female-only audience, and those seem to be the numbers that are presented … So there needs to be just this general change in thinking, not only in comedy where movies like Bridesmaids and people like Amy Schumer have really made a big difference in that thinking, but really across the board, that thinking has to change. You mention Amy Schumer and Bridesmaids, but are there any other particular shows or movies or artists who you think are doing a really good job of trying to move the ball forward? Leonard: Well someone who I know that we definitely admire is Issa Rae. … And just the way that she’s gone from creating her own independent content, The Misadventures of Awkward Black Girl, to now having finally this summer shot her pilot for her HBO show. I know that that was a long and arduous process for her and it involved a lot of fighting for exactly what she wanted and figuring out how to do that show in a way that she wanted to do it with a diverse team. Cirillo: Someone else who’s on our advisory board who’s really stepping up and trying to make a difference is Alysia Reiner. She plays Fig on Orange is the New Black, but she’s also created Broad Street Pictures, which is her own production company … Even though she’s somebody who works on a mainstream show and is a recognizable actress, she’s taking it upon herself to create her own work and work with other women. And I also think Lake Bell is a great example … because she’s doing it on such an independent level. Where do you hope the project will be a year or two from now? Cirillo: There are audiences for these films and we want them to be successful. I think that’s part of why we’re doing the distribution lab to help people figure out what is the best path to distribute their films and make a profit. Yes, it’s independent film but the goal isn’t to stay broke for anybody, the goal is to profit on making a beautiful film that shows your worldview.